The cybersecurity market is filled with many antivirus packages. And if you are looking for some best free computer protection, you can find it after some search. This search is often long and tiresome. Therefore in this blog, we try to provide a cheat sheet for you using which you can select the best free computer protection pretty quickly. What To Look For While Selecting Best Free Computer Protection? First things first. PC users cannot expect total coverage using free computer protection tools. Of course, they are good and most of the times more than enough, but it's worth remembering that they don't go the entire distance. That is, for example, they may not be of much use when it comes to malware removal – an important aspect usually reserved for paid versions. With this in mind, let's take a look at how to select free computer protection. 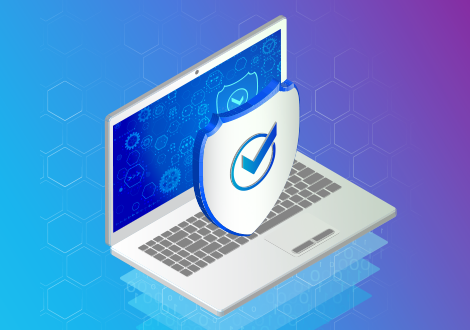 Checks Everything Before Giving Access To Your PC: Basic security provision every antivirus software should be able to provide. Although many don't. Therefore check whether the antivirus you are wishing to download has the ability to check every file which comes into contact with your computer. Because this security provision can prevent malware efficiently. Effective Malware Scanning and Monitoring System: Next is the ability of the antivirus to perform PC scans to check for malware. This is especially useful if your PC is already infected or if the malware defeats the security system and infects your PC. Such quick malware identification can minimize PC damage greatly. Runs Antivirus Scans Before Your PC Boots Up: Being proactive matters a lot when it comes to securing your computers. And using an antivirus which can run or perform pre-boot scans to check for malware is a great way to do that. Some antivirus software comes equipped with this pre-boot scan feature. Use them. Virtual Desktop: This security feature offers PC users with a containerized environment ideal for running applications safely without allowing them to affect your computer. It also helps to perform secure online transactions. Rescue Disk: With this security feature you will be able to run pre-boot scans and thus protect your computer against malware which targets these devices before the OS loads. Default Deny Approach: This technology from Comodo ensures that all files whether good or bad are not allowed to enter critical system files and folders until they prove themselves to be harmless. This is extremely useful to counter zero-day attacks which are mostly unpredictable and hence unresolvable. HIPS and Viruscope: Host Intrusion Prevention System (HIPS) that has security rules for preventing malware intrusion and establishing an intrusion prevention system. Viruscope is used for monitoring system processes and undoing or stopping any suspicious activity which could be infecting one of these processes. But like mentioned in the beginning, free computer protection is not always enough. Especially in the rapidly changing cybersecurity threat landscape, we are confronted with today. If your computer gets infected with a zero-day threat or a much more complex malware, there would be little that your free computer protection will be able to do. Therefore it's best to equip your computers with the paid antivirus – like Comodo Internet Security (CIS) - which offer enhanced protection to your PC(s).